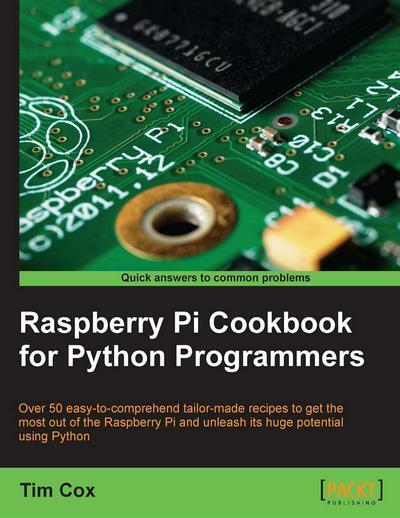 Tim Cox wrote:Since the release of the Raspberry Pi computer in February 2012, hundreds of thousands of people have been introduced to a new way of computing. Modern home computers, tablets, and phones are typically focused on providing content to the user to consume, either as a passive viewer or through basic interaction via games and activities. However, the Raspberry Pi turns this concept on its head. The idea is that the user provides the input and the imagination, and the Raspberry Pi becomes an extension of their creativity. The Raspberry Pi provides a simple, low-cost platform that you can use to experiment with and play with your own ideas. It won't feed you information; it will let you discover it firsthand. Tim Cox lives in England with his wife and two young daughters and works as a software engineer. His passion for programming can be traced back to one Christmas in the mid 1980s when he received a Sinclair Spectrum 48k+ home computer (a joint present with his two elder brothers). By typing out and modifying BASIC programs, while dreaming about building robots, an interest in computers and electronics was sparked, which has never faded. This interest saw him through university, where he earned a BEng in Electronics and Electrical Engineering, and into a career in developing embedded software for a wide range of applications, for automotive, aerospace, and the oil industry, among others.